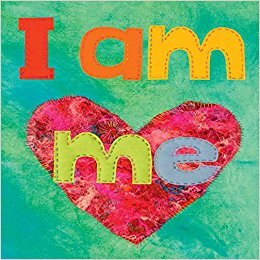 In simple, sensitive verse, ‘I am me’ explores the experience of a young refugee child leaving a war zone and arriving in the UK – the fears, the confusion, and the hope and joys of beginning a new life. Sue Hampton is an ex-teacher and now the author of more than 30 titles for children, teens and adults across genres. She is a Trustee for People not Borders, a group of volunteers supporting refugees, and an Ambassador for Alopecia UK. In the delightful verse that it is written in, it gave me something quite profound to think about and at least two out loud laughs. The poem and the pictures blend so well together. The book provides a story of hope and a love of everyday joys. I have given it to all my Godchildren who loved it. A thoughtful and touching book which shows the humanity of a group of people so often demonized. Beautifully illustrated, it tells an important story that is ongoing and rarely heard of now. Beautifully illustrated with a simple, easy to read text, telling the story of what it can be like to be a young refugee in a strange country. This is a wonderful book. It encouraged a thoughtful discussion amongst my children about the subject of refugees. Beautifully told and stunning illustrations. My older child loved it too as have all adults I’ve shared with. Beautiful illustrations and a clever rhyming text with lots to say about what refugee children experience when they come to the UK. I love the colourful illustrations by Paula Watkins. The story shows a compassion for the plight of refugees and brings love and understanding to the reader. A book for children and adults alike. This story echoes so many of the feelings I experienced when I came to U.K. from a very different country at the age of five. I’m sure the warmth and colour of text and illustration will comfort a refugee child aa well as help children here to understand a little more of what others go through. A beautiful and very important book! Beautiful book, belongs on everybody’s coffee table. I love the beautifully crafted and wonderful illustrations which support Sue’s text admirably. The words are warm and compassionate, full of empathy for the refugee child coming to a new land and facing many challenges. Another beautiful book by Sue, we are huge fans!!! This book is suitable for all ages, so gentle and yet making such a strong point that underneath we are all “me” and equally valuable. I love the simplicity of the story and the beautiful illustrations which go so well together. A great little book to leave around for Grandchildren to find. Wonderfully creative book of images – suitable for any age. A lovely book to share with children. Simple text so clearly describing the refugee’s journey, with beautiful illustrations. Gorgeous illustrations and for those of us who live in a rural, mainly white area of the UK, a great book to share with our young children. This is a lovely little book, equally enjoyable for a child or a parent reading aloud. A wonderful contribution to understanding the fate of children who have been displaced because of senseless wars. Congratulations on your good work. The book brings different emotions from sadness, fear, worry, anxiety, joy, warmth, peace and relief. All as a result of what humanity is doing to our worlds’ environment, economies, politics, societies and relations as humans through wars and human instigated disasters. Many poor suffer out of no fault of their own but when they seek help from those responsible for their problems in the first place what they find are barriers, Hindrances, obstacles and cealings in form of borders restricting them from living in peace that was snatched off them. If only Love was in this world and those responsible learnt from their mistakes and take responsibility. Physical Walls will do no good however, stopping wars by not arming these nations for monetary gains will make this world a better place to live in anywhere. There will be no need for walls to mark borders. Remember it’s about People not borders think Love. God is Love. A story of today. Charming words and illustrations. A wonderful book that teaches compassion and tolerance. This beautiful book is both an empathy and fund raiser for young refugees. A touching and heartening book illustrating the sadness and hope of a young child trying to fit in with a strange new environment. A beautiful book, both in its presentation and message. A fantastic project that reaches all children here in the U.K.and parents to be more understanding, whilst directly supporting the refugees in Lesvos and their integration with local children. Awesome book with great heart behind it! Couldn’t recommend it more for all children and adult alike. I liked it very much, I liked it how it was a poem. I liked the different pictures. I liked how the poem was told, (rainy and different adjectives were in it). I liked it that it was about a child who never had been here (in the UK 🇬🇧) before. I am me, I really like it. It was just right for young children. I am seven years old. Thank you and buy. My children and I read the book together and they enjoyed it so much. My five-year-old decided he wanted to do a textiles art project just like the images in the book. It’s a lovely concept, thoughtfully executed. It’s such an important topic, and a beautiful way to engage children readers in the issues. A lovely book that says so much in such a short space, let’s hope many young British children get to rad it. Absolutely LOVED it!! It is one of the most beautiful books I have ever read. Pitched perfectly to show the emotional reality of being a child refugee, this is a sensitive and accessible book that should delight and educate all age groups. A wonderful book! We are big fans of Sue. Always engaging for all ages. Good luck Sue!! A lovely, meaningful book that teaches tolerance in a magnificently simple way. I enthusiastically vote for it! What a beautiful book and an amazing production. Thank you for this important piece. Such an important book. Well done to all involved. It has my vote! Sue speaks for people whose voices are not heard, a wonderful book. Excellent book. I purchased a few copies to give to other people. They all appreciated it. Timely, A much needed book. A lovely compassionate book and so needed in the present atmosphere of distrust. Sue Hampton creates such direct and loving works – how exciting to know there is another book out there. Especially as it places the refugee child at its core. Nothing is frankly more important in today’s chaotic and charmless world – than making work that reflects life – and shimmers with passion, humour and an understanding of a child’s mind. A lovely book on an important theme. An important message in this crazy world.